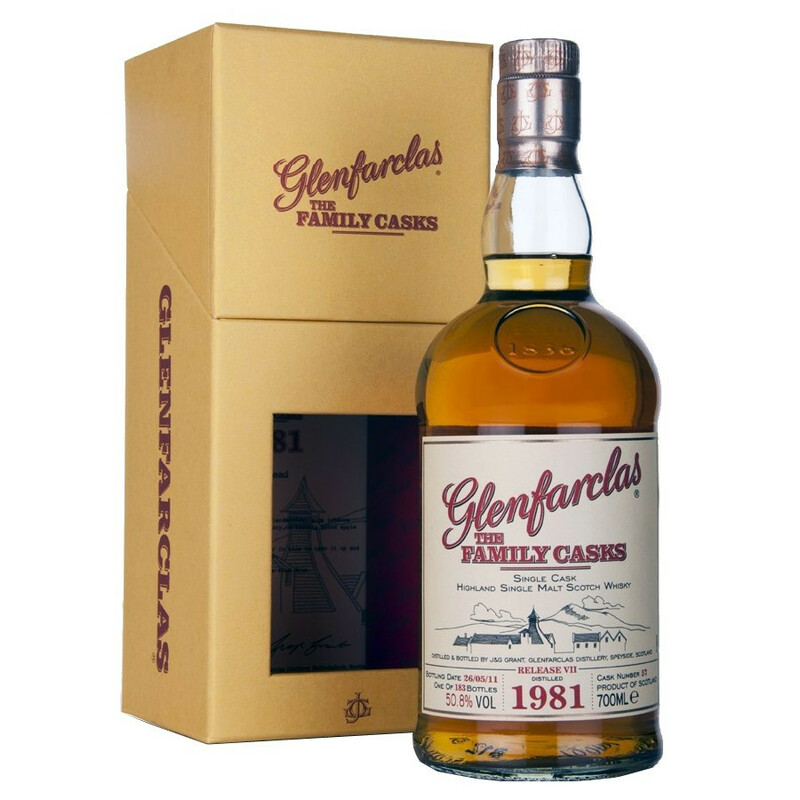 This 1981 bottling is the 7th edition of the Family Casks Collection, released by the Glenfarclas distillery. This is an amazing 30 Year-Old Single Cask bottled in 2011, from a unique hogshead. This 1981 bottling is the 7th edition of the Family Casks Collection, released by the Glenfarclas distillery. This is an amazing 30 Year-Old Single Cask bottled in 2011, from a unique hogshead, built from the staves of a Bourbon barrel and 25% from new oak. This cask bears the number 57. Only 183 bottles of this Single Casks have been released from this hogshead n°57. This is a cask strength bottling. Nose: lovely honey notes with a hint of cherry, tobacco with a trail of warm toffee apple, roasted bread and caramel. Palate: bursting with fruits and sweetness, with vanilla notes and spices. A touch of stewed fruits evokes a rhubarb crumble. Finish: delicate, of great length.